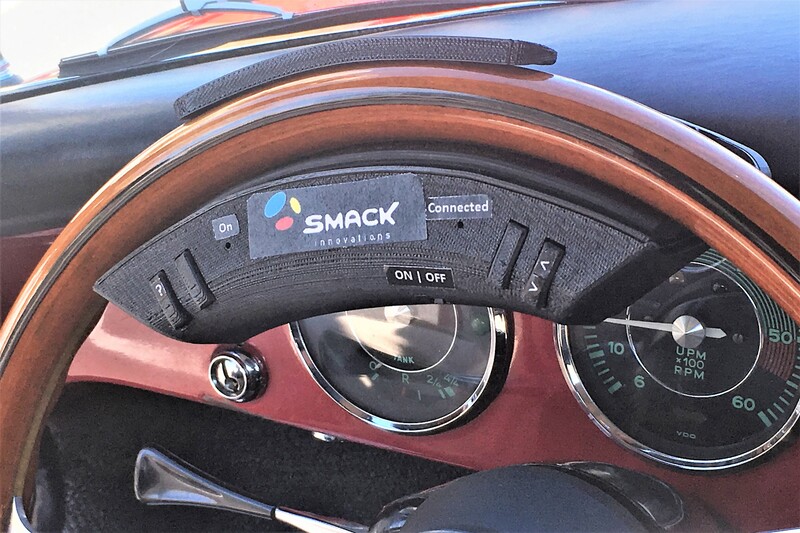 Smack Innovations, a startup company, has released a Bluetooth-enabled console Device for Classic Cars. The Steering-wheel-mounted console works with five buttons and voice commands for an impressive range of functionality. 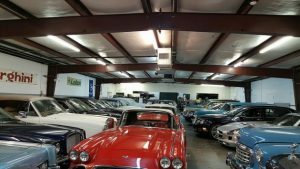 Part of the joy of owning and driving a classic car is the low-tech simplicity that puts you that much closer to the driving experience. But sometimes being tech-free is not so great if you long for the connectivity options so prevalent in modern vehicles. A majority of people have smartphones that go everywhere with them, complete with a number of apps that can be connected with the technology in most new cars, but which can cause driver distraction. The device, called RITW (for Reinventing the Wheel) SafeConnect, the device links a car’s steering wheel with your cellphone apps, and it can be run through the car’s audio system. 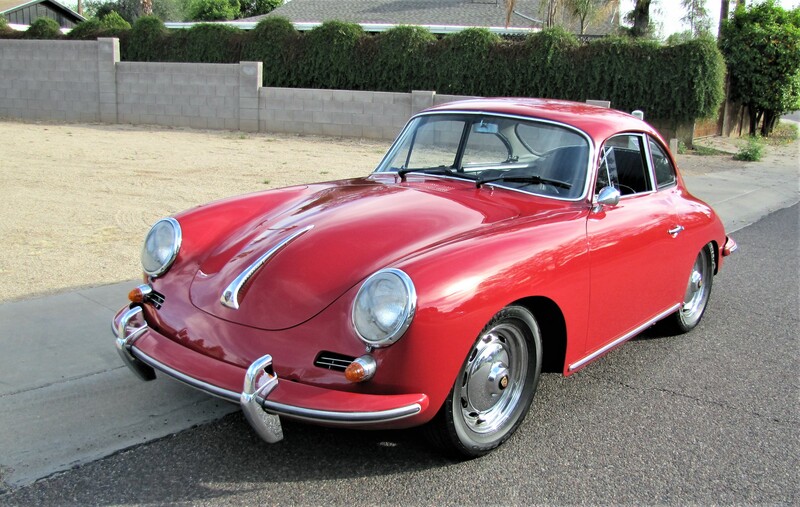 A 55-year-old Porsche 356 coupe is about as low-tech as they come, although someone did make the effort to install a modern (though vintage-looking) radio and speakers. This car is so low-tech that it also needed to install a voltage converter to run the 12-volt audio on my car’s 6-volt electrical system. 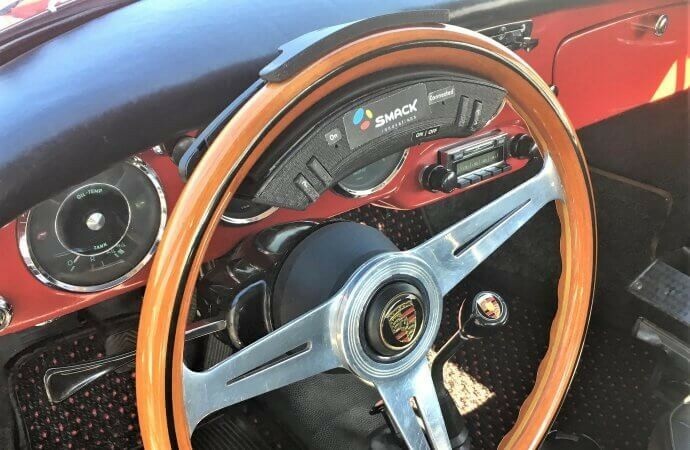 Gregor Hanuschak, founder of Smack Innovations, is on a national tour of the SafeConnect device, and he dropped in to demonstrate how to transform an old Porsche into an infotainment hotbed. 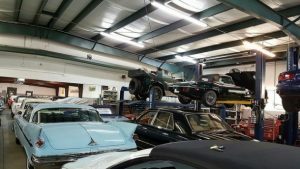 “Right now, I am just clamping it right on your steering wheel,” Hanuschak said as he quickly slipped the small console onto the top portion of my wood-rimmed Nardi wheel. The aftermarket Italian steering wheel is of fairly small diameter, but Hanuschak noted that SafeConnect can be adjusted easily to fit just about any size wheel of any thickness. The device is powered by a trio of AAA alkaline batteries, which lasts approximately 400 hours, so there’s no hookup to the car other than physically clamping it to the steering wheel. The unit is easy to install and remove, which makes it readily transferable to different vehicles. The Bluetooth system only works with Android phones, Hanuschak said, although it should be ready soon to connect with iPhones. He pointed out that the unit we were testing was a 3D-printed working prototype, not the finished product that will look more refined. The steering-wheel mount is a logical approach. This little sports car has a fairly spartan interior and there’s really no place to put anything extra where it would be easily accessible to the driver. On the steering wheel, it’s easy to work the console’s buttons with your thumbs without taking your eyes off the road, which is the system’s main intent. There are just five buttons and they give you a full range of functionality. “We want you to be connected, but we want you to be safe,” Hanuschak said. 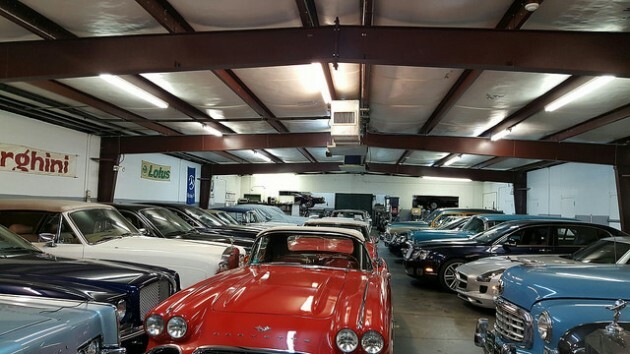 “We wanted drivers to always have eyes on the road, hands on the wheel. You can put your phone anywhere; leave it in your pocket. We don’t want you looking at your phone, we don’t want you touching your phone. Once the SafeConnect console and the phone are connected, the buttons allow you to run through the various apps. It also accepts voice commands, and responds to your speaking or button pushing with the typical disembodied female voice. Connecting with the phone’s Google Maps app was accomplished by pushing one of the buttons several times as the voice announced which app was being accessed. Very simple. Hanuschak asked for the location of the nearest Italian restaurant, and the console dutifully responded. Directions also were available for the asking. He ran through a number of functions, noting that a user can make or answer phone calls, dictate or hear text messages, send email, check sports scores or the weather, check Facebook, play music or perform other tasks available on your phone apps. Hanuschak’s phone was hard-wired to the Porsche’s audio system with a cable, which made the system’s voice loud and clear. He called out what music he wanted to hear (in this case, a Frank Sinatra ballad), and soon Old Blue Eyes was crooning through my speakers. Everything was done without touching anything once the console was connected to the photo app via a button push. A drive was taken with the SafeConnect on the steering wheel, and it was able to quickly master how the system worked. How many times have you wanted to check something on your phone while driving, or make a call or get directions, but decided not to do so because it was unsafe or just too much of a hassle? So yes, SafeConnect is a rousing success when it comes to easy connectivity. Although, the console itself – at least in its working-prototype form – got in the way of driving. Even though it is fairly small, with most of its bulk located beneath the rim, there is still enough hard-plastic protuberance to bother my hand positions, especially when turning a corner. There was talk about the continuing development of the console, and Hanuschak said that they would be working to make it more comfortable on the wheel, possibly with smoother edges or a hand-formed grip. There’s also a deluxe version SafeConnect that is fairly quirky. Along with the existing console is are soft extensions that wrap around the wheel on either side, and which contains a series of small, brightly colored cushions that a driver can push. These allow you to add your own pre-programmed drum sounds to the music – snare drum, bass drum, tom-toms, various cymbals, even a cow bell – by tapping the cushions. Actually, the SafeConnect was first conceived as a way to add drum sounds to music playing in the car, he added. So there you have it, the inventive mind at work. Hanuschak did work for NASA in a former career. Classic Car Enthusiasts are looking forward to sampling the finished SafeConnect product that, hopefully, will be developed with a more comfortable profile on the steering wheel. 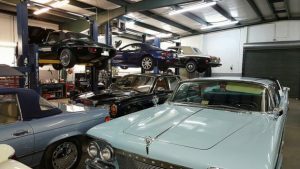 The device works very well, and it could add a welcomed layer of connectivity to otherwise no-tech vintage vehicle drives. The basic SafeConnect console will be available within the next couple of months for an introductory price of $69, with the drum-accompaniment Deluxe version available for $149. Retail pricing is expected to go to $99 for the base console and the Deluxe for $199. For more information about the RITW SafeConnect, visit the Smack Innovations website.